← #jeudi confession: I won’t miss hanging socks! 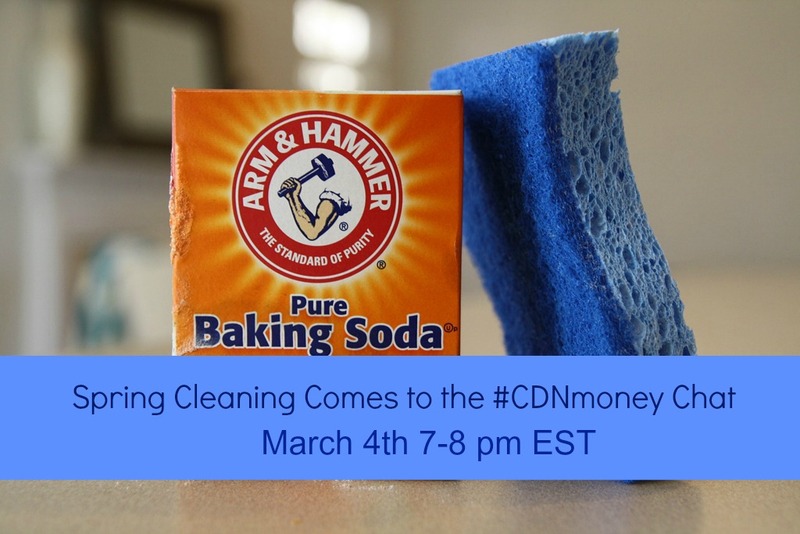 Join co-hosts @commoncentsmom and @christaclips as we share tips & tricks for spring cleaning on a budget at this week’s #CDNmoney twitter chat. There are 5 PRIZES! I’m determined to have my spring cleaning finished by the time the nice weather arrives this year so that I can be out enjoying spring instead of inside scrubbing the baseboards and light fixtures! (And considering that it is -30 here on the 3rd of March, I might have been granted an extended deadline!). Join Hollie and I as we co-host this week’s #cdnmoney twitter chat to share tips & tricks for spring cleaning on a budget! Church & Dwight, makers of Arm & Hammer have graciously donated five $50 gift baskets to motivate us to get into spring cleaning mode! Be sure to RSVP and answer the twitter chat questions to be eligible to win one of the prizes (mailed to Canadian addresses, only). If you’ve never joined a twitter chat before, here’s Hollie’s blog post about How to Participate in a Twitter Chat or Twitter Party to help you get started! Hope to see you tweeting along with us on Tuesday night! And here’s hoping that we all get our spring cleaning done early, and on a budget this year! Posted on March 3, 2014, in Christa Clips and tagged #cdnmoney Twitter Chat, Christa Clips, cleaning on a budget, Common Cents Mom. Bookmark the permalink. 1 Comment.